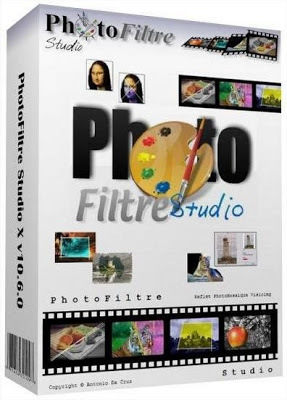 Photofiltre offers many of the same functions of Photoshop, but it a bit easier to use and a lot cheaper. This 30 day demo is fully functional, so you can see all it has to offer. The usual range of selection, cutting and drawing tools are in a panel on the right of the window, and in the tool bar there are options that will be familiar to any Photoshop user, like layers and filters, and some other quick editing tools that are pretty cool. Two nice tools are the horizon correct, useful for correcting landscape photos, and the perspective correction, which is quite basic but can produce some interesting effects. Photofiltre also has some easy to use brightness, color and hue alteration tools. You can learn pretty easily by just playing around with the various buttons, although there are comprehensive online instructions available in the help menu. For the amateur photographer, Photofiltre is an easy to pick up and effective photo editing application. It is nowhere near as intimidating as Photoshop, yet it can also produce some really great looking pictures.